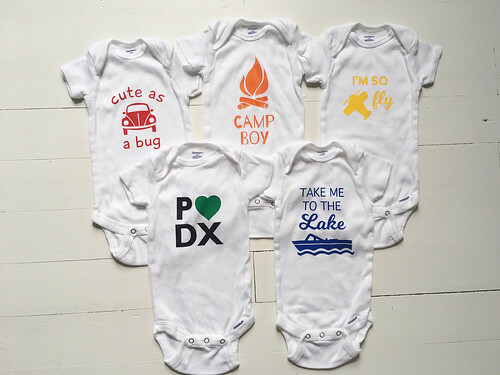 I just love how these onesies came out, and I still just love my Silhouette Cameo! 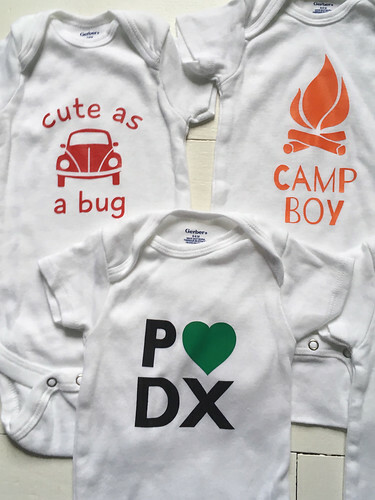 Heat transfer vinyl just gives home-made shirts a nice professional look doesn't it? I used some clipart for the designs, like the bug and the plane, but had to draw up my own ski boat since I couldn't find exactly what I was looking for. 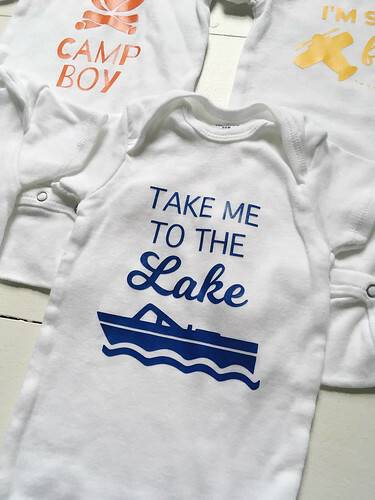 And I think the boat onesie may just be my favorite! I really enjoy the design process on projects like these. 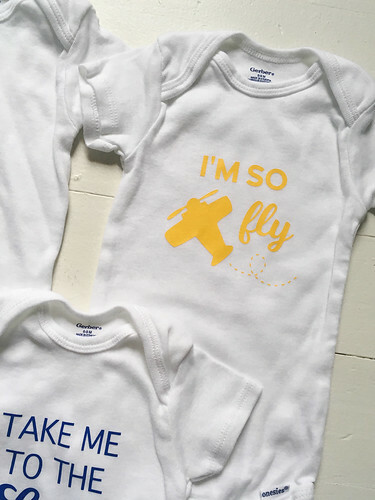 It may take me a good amount of time on one little design to fine tune the sizes, the placements and find just the right fonts, but it is so worth it in the end! My hat is definitely off to people who do graphic design for a living - I'm just in awe, and look at things with a whole new perspective and appreciation!